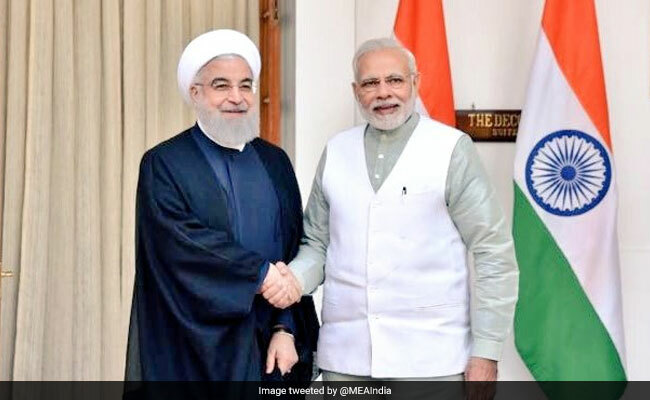 New Delhi: Prime Minister Narendra Modi and Iranian President Hassan Rouhani agreed on Saturday to step up efforts to bring stability to war-ravaged Afghanistan. PM Modi reiterated India's commitment to help Afghanistan become "a peaceful, secure, permanent, prosperous and pluralistic country" after holding talks with Mr Rouhani in New Delhi on the last day of his three-day visit. "Looking at our common interests, we are committed to stopping the expansion of such forces that promote international organised crime in terrorism, extremism, illegal drug trafficking, cyber-crime and various forms," PM Modi said. "We want to see our region and the world free from terrorism." India has been a key supporter of Kabul's government and has poured more than $2 billion into the country since the Taliban were toppled in 2001. PM Modi said both countries wanted to increase economic cooperation, regional connectivity and improve energy security to reach landlocked Afghanistan and central Asia via the southern Iranian port of Chabahar. India has been a key purchaser of Iranian oil and gas, and maintained trade ties even as international sanctions were imposed on Tehran over its nuclear programme between 2012 and 2016. India's foreign ministry said Saturday that "discussions continue" for awarding a contract on Farzad B, a major gas field in the Gulf.